Thanks to Maribel from Stroller Adventures and her "What's in my purse" post I have decided to play along. At first I thought it might be embarassing, but I just remembered it was perfect timing! 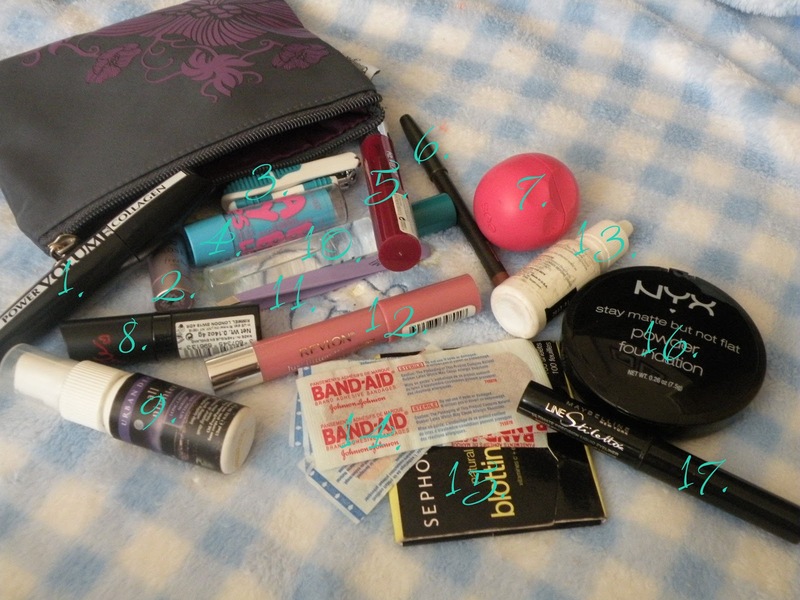 I just cleaned out and changed my purse yesterday! So here it goes! Whew that wasn't so bad afterall! 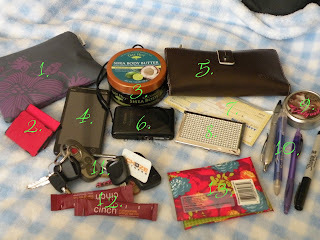 I tag YOU! If you join in the tag, please leave your blog post link in the comments below! I know right? My Husband thinks I'm crazy for having so many extra batteries. But with social media..I have to admit my phone dies quick when I'm using the apps all the time. I sometimes keep my charger with me too. Must always be charged to stay "connected". Thanks for stopping by!